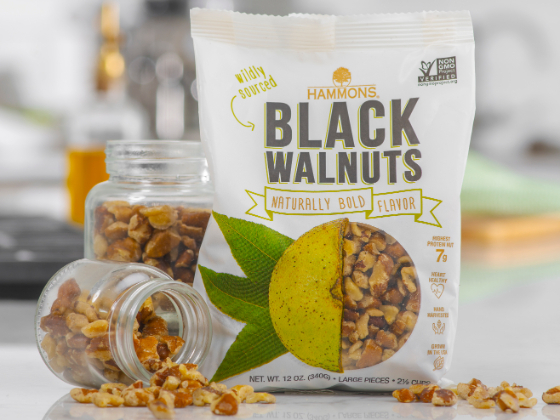 Stockton, MO- Hammons Products Company located in Stockton, Missouri is the world’s largest processor / packager of Black Walnuts and recently underwent a brand refresh with a new package design. 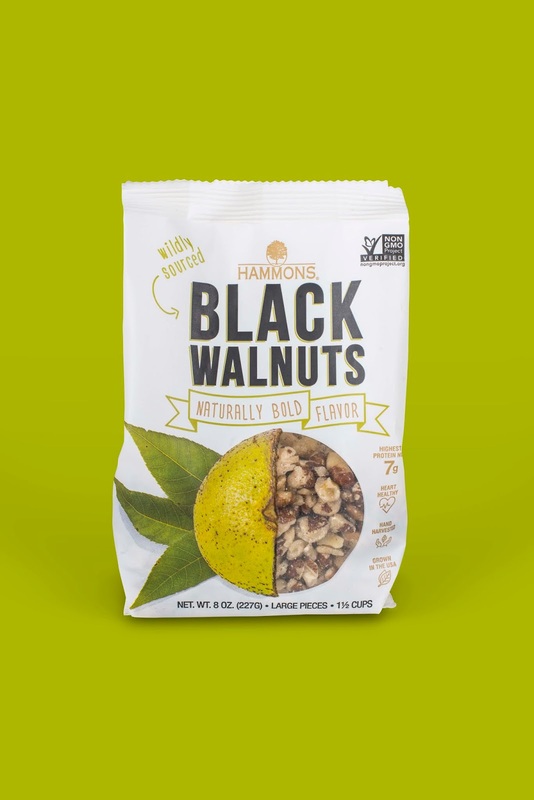 The new packaging is white with “Black Walnuts” written in bold black. The packaging features half of a Black Walnut in its natural, green hull as it looks while it’s growing on the tree before it’s harvested. 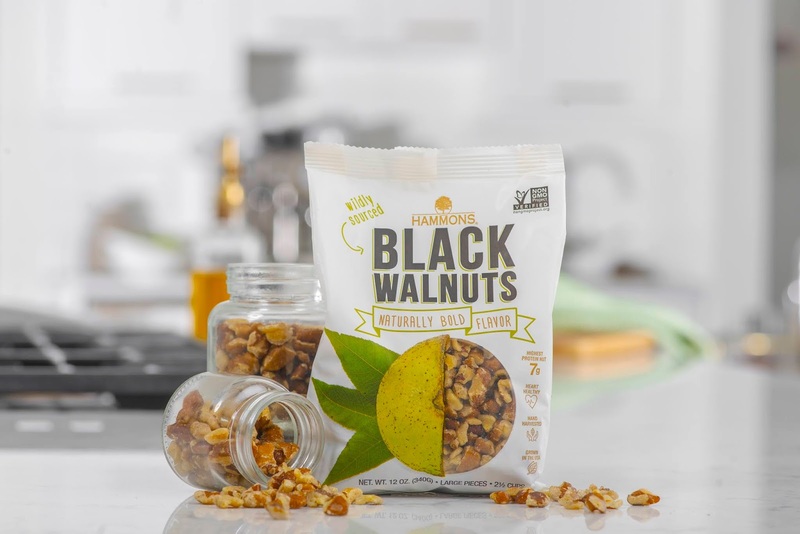 A window into the packaging makes up the other half of the Black Walnut, not only giving consumers a peek inside the packaging, but also at the Black Walnut, so they can see what the product looks like. Surrounding the image are characteristic call outs in a hand-written font that mirrors what one could imagine is a chef’s notebook, describing the attributes that make the Black Walnut stand out among other nut products (as discussed above). 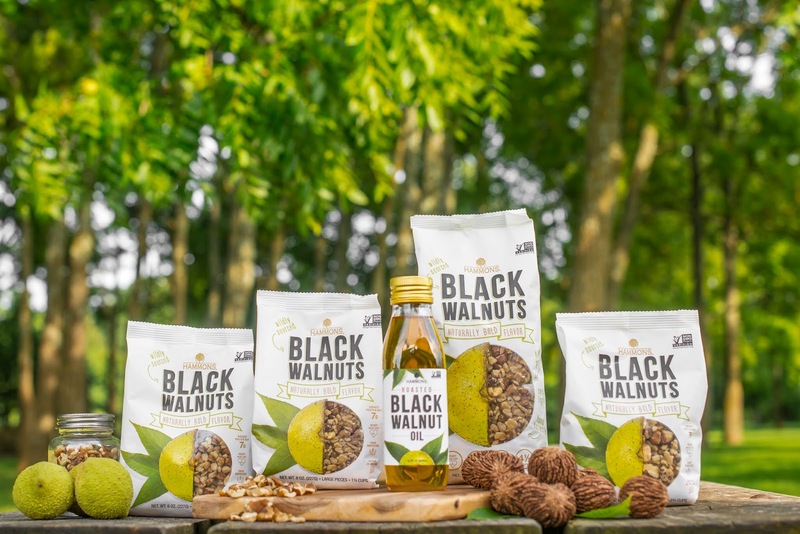 The back of the packaging tells the story behind Black Walnuts and introduces the consumer to the People of the Harvest. These are actual harvesters who pick up this wild crop each year. By reading the story of the harvest and the experience of the harvesters involved, the consumer is drawn a little closer to the source and is provided with the connection they’re looking for. 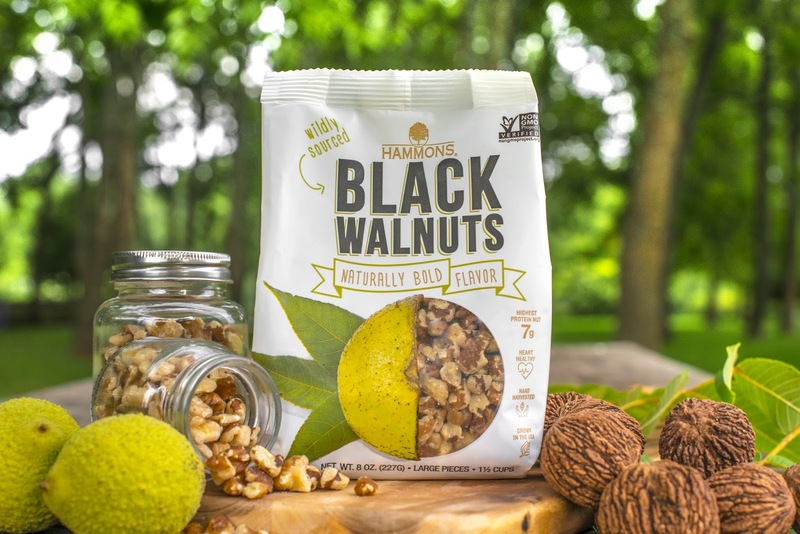 Harvesting, processing, and distribution of Black Walnuts is done primarily by Hammons Products Company, who has been in operation for over 70 years and is still a family-owned company. The main marketing emphasis for Black Walnuts has traditionally been showcasing it as an ingredient nut in fall/holiday baking and cooking. Today, in addition to more year-round usage, recent research on the health benefits of Black Walnuts shows them to be a beneficial addition to a healthy diet for a variety of reasons. These findings unpackage the potential for new markets and new consumers, giving Hammons another reason to update the packaging. Maximizing the impact of the window space was the biggest priority for this redesign. We wanted to impress upon the consumer that these wildly sourced Black Walnuts are inside these green hulls you see laying around fields and parks every fall throughout the mid-west and other parts of the US.